Toddlerhood is an exciting time. 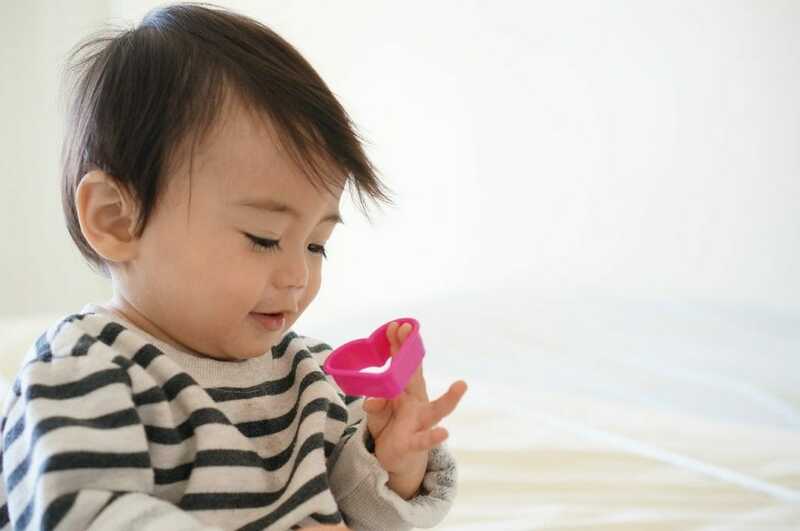 Your little one is becoming more active and more independent, and that includes at bedtime. They are sleeping in a variety of positions (many of them quite uncomfortable-looking! ), moving about at night, and developing their own sleep habits and routines. They may be ready to move from a crib to a “big kid” bed as early as 18 months, or remain happily in their cribs until 3 years of age. With their high level of daytime activity, you’ll want to make their naps and nighttime rest as restorative- and safe- as possible, and that means finding the best possible toddler mattress for your growing toddler. Also check out our ranking of the best mattresses for babies and for older kids. So which mattress is best for a toddler? Toddlers are bigger and more mobile than babies, but have many of the same needs when it comes to sleep. Like babies, toddlers need extra safety, but like adults, they sleep better when a mattress provides extra cushioning and comfort. They’ll also need a sleep surface which guards against nighttime “accidents” during potty training. Many mattresses come with a waterproof exterior or cover, while others may need to have a separate cover added. And, of course, durability, warranty, and value count when mattress shopping as well. One reason your toddler’s mattress is so important is the sheer number of hours they will spend lying on it- as much as half of each day! Including naps, your toddler will spend 10-14 hours per day sleeping. You’ll want to invest in the best mattress you can, and there are several factors to consider. Mattresses for toddlers can be constructed from foam (synthetic memory foam or natural latex) or innerspring (wire coils surrounded with cotton, wool or synthetic padding). Both options have advantages and drawbacks. Foam provides excellent comfort and durability, but tends to be less breathable, and to retain far more heat. Inner spring mattresses have great firmness and support, but are generally harder to fully clean, and make jumping on the bed almost irresistible to toddlers (which further shortens the life of the mattress). Whichever type you select, pay close attention to construction and materials. Foam mattresses of high quality are heavy, dense and resilient. A quality innerspring mattress will have a high count of thick-gauge wire coils. And because they are built in layers, more layers generally means higher quality. Look for one with multiple layers of padding and insulation. A well-made cover not only makes cleaning easier but also prolongs the life of the mattress. Finally, you’ll want to consider how long you’ll be able to use your toddler’s mattress, which plays a big role in the overall value of your investment. Some mattresses are dual sided, with a firm side suitable for infants and a more plush side that can be used for toddlers, by simply flipping the mattress as the child ages. Another option, best suited for older toddlers, is to upgrade to a twin mattress, which can be used throughout childhood (or repurposed as a single bed for adults). Is a Firm or Soft Mattress Better for a Toddler? As with infants, toddlers need a firm mattress. As most parents have discovered, toddlers frequently sleep face-down directly on their mattress. 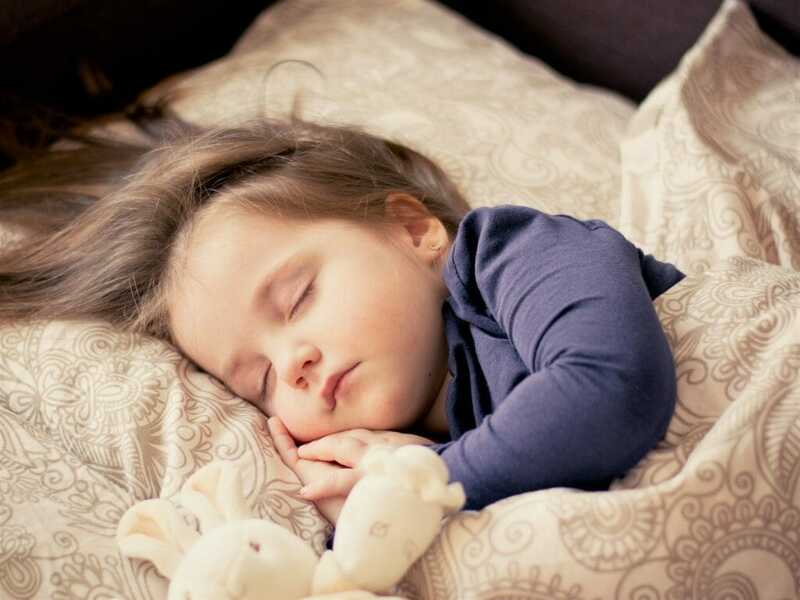 A very soft, fluffy mattress can conform to a toddler’s face, impeding free breathing and interrupting sleep, or even posing a risk of smothering. But toddlers also have much more mobility than babies, and don’t require quite as high a level of firmness as they did as infants. In fact, a somewhat plusher surface than that of an infant mattress can make a toddler more comfortable and can help toddlers fall asleep more easily and sleep more deeply. What Makes a Safe Toddler Mattress? A safe mattress is one which is firm, fitted, impermeable to allergens, easy to clean and, arguably, lower in synthetics. Look for a model that tightly fits your toddler’s bed, with no room for limbs to slip through and get stuck. Since mattresses can harbor dust, mites, and molds (contributing to allergies), look for an impermeable cover or mattress core. For hygiene, a high-quality mattress cover makes for easy cleaning (essential for nighttime accidents), and some mattresses can be completely rinsed or washed. Conventional mattresses are made with synthetic materials, and some parents have concerns about their child’s exposure to such materials over the long term, including the off-gassing of volatile organic compounds (VOCs) that create that familiar and unpleasant “chemical odor.” Alternative and naturally derived materials can be used to replace these synthetics, including bamboo, latex, wool, cotton and even coconut fiber. Some companies go a step further by sourcing plant materials grown without synthetic pesticides or chemical processing. There are no federal standards to enforce claims of “natural” or “organic” on toddler mattresses, but stringent third-party certifications do exist. These include GreenGuard and Certi-PUR. Our ranking of the 10 Best Toddler Mattresses draws from a broad review and analysis of the most popular toddler mattress models and brands on the market. We ranked and weighted each model in terms of the priorities that matter to consumers: Safety, Quality, and Value. And because there’s more than one way to measure each of these important features, we’ve used several factors to measure each score. Quality (40%): Extent and length of mattress warranty. Duration of usability- can the mattress be used for babies or big kids as well as toddlers? Relative quality of mattress cover. How easily cleanable the mattress is. Organic or natural vs. synthetic materials. Safety (40%): Ability to deter dust mites, bed bugs, and bacteria. Firmness level. Extent to which mattress off-gasses or produces a chemical odor. Breathability and/or temperature regulation. Relative quality of mattress cover. Value (20%): Retail price of the mattresses divided by the number of quality and safety points awarded. Newton Baby consistently leads the field in baby and toddler mattresses, and tips out list of 10 Best Mattresses for Toddlers with an outstanding combination of safety, quality, and value. Their two-stage baby and toddler mattress features an extra-firm side for infants and a softer side for toddlers. The mattress core is made from food grade polymer, and the Wovenaire core construction features interwoven dual linings designed to create air pockets for maximum breathability and temperature-regulation. The mattress core can be removed from the cover and washed in the tub or shower, while the polyester cover is laundered, making it one of the only 100% washable mattress and cover set on the market. While made from synthetic materials, all components are premium quality and certified to the highest standard of low chemical emissions, with a GreenGaurd Gold certification. At $299 the Newton Wovenaire Crib and Toddler Mattress is an investment, but its potential for use with both babies and toddlers, 100-night free trial period and lifetime limited warranty all add up to make this premium mattress an excellent value. Simmons is already well-known for their adult innerspring mattresses, which have been sold for over 100 years and are one of the most popular brands in the nation. The company’s baby and toddler mattresses feature the same top-quality and long-lasting innerspring construction, with firm and even support provided by a total of 231 luxury Pocketed Coil Springs. For additional safety and a tight fit, the mattress borders are further reinforced, and the corners feature Innofoam corner protectors. It’s high weight- the highest of any toddler mattress in our ranking- also contributes to safety and indicates high quality. In place of chemical fire retardants, the Simmons Kids BeautyRest Crib Mattress Sleepy Whispers is made with an all-natural cotton wrap, and is both Greenguard Gold and CertiPUR-US certified, indicating that it is free from VOCs. The woven fabric cover features a medical grade waterproof barrier for easy cleaning. This American-made mattress is designed for both babies and toddlers, with a firm side for infants and a softer side ideal for toddlers. A long period of usability means superior value, which is further enhanced by a limited lifetime warranty and an affordable price of just $119. Greenguard Gold certified, indicating that is it free from VOCs, phthalates, leads, polyurethane and flame retardants. The mattress retails for $279, and features a Lifetime Limited Warranty. Like Simmon’s, Sealy is one of the nation’s leading and most longstanding manufacturers of mattresses for adults, and their Soybean Foam Core crib and toddler mattress delivers the same level of reputable quality. Instead of traditional, synthetic foam, this mattress is constructed with a base of durable, soy-derived foam, surrounded by a hypoallergenic cotton wrap and waterproof cover. The cover prevents molds and bacteria from entering the mattress core, and the entire bed can be cleaned by simply wiping down the cover with water, for a sanitary sleeping surface. The mattress is free from phthalates, lead, mercury, formaldehyde, PBDES, TDCPP or TCEP flame retardants, and has earned both CertiPUR-US and GreenGuard Gold certification. The mattress itself, as well as source materials, are American-made, and is constructed in layers for extra comfort and firmness. The Sealy Soybean Foam Core Crib Mattress comes with a lifetime limited warranty, and retails for only $96.61, making it the most affordable mattress in our 10 Best Crib Mattresses for Toddlers by a significant margin. DaVinci has been one of the nation’s leading crib and baby furniture companies for 25 years, with popular and award-winning products that win regular endorsements from sources like Mommyhood, Safewise, and National Parenting Products. Their line of crib mattresses deliver the same premium quality and high safety standards, and the DaVinci 100% Non-toxic Ulimatecoil Crib Mattress is no exception. This mattress is a dual-sided model, which can be flipped from the super-firm infant side to the softer toddler side as the child ages, for a long period of usability. Innerspring construction means high firmness, and the American made mattress features 260 15.5-gauge wire coils surrounded by polyester fiber fill cushioning. This core is wrapped in a durable medical-grade, waterproof cover, which is impermeable to allergens like dust, mold and mites. Side air vents add to the mattress’ breathability, and border wire reinforces the edges for added safety. The entire mattress is completely free from polyurethane foam, vinyl and chemical flame retardants. The DaVinci 100% Non-toxic Ulimatecoil Crib Mattress comes with a 25-year warranty, and is priced at only $149. The natural latex ZenHaven mattress collection is produced by Saatva, a premium and eco-conscious mattress company which focuses on delivering superior quality, luxury mattresses directly to the consumer exclusively through online sales and delivery. All ZenHaven mattresses are crafted with luxury materials and design, including a natural Talaay latex foam core, 5-zone comfort layer, certified organic wool flame-retardant and moisture-wicking layer, and organic cotton wrap. The exterior is highly breathable and features a Guardin botanical antimicrobial fabric treatment that inhibits bacterial growth. The mattress features two sides, one plush and one firm, to conform to adult comfort preferences, and toddlers will be safest sleeping on the rim side. This heavy weight, full-sized mattress makes for a very safe sleeping surface which can be used throughout childhood, and its high-quality and durable materials mean that the mattress itself will have a long lifespan. The Saatva Zenhaven Twin Mattress costs $1,299 and comes with a 20 year warranty. If you’re looking for purity, the Avocado Green Mattress will satisfy even the most discerning parent. This all-natural mattress features 100% natural and sustainably-sourced Dunlop latex rubber, naturally moisture-wicking and flame-retardant New Zealand wool, certified organic cotton and 1,414 pocketed support coils, for superior support and safety. These premium materials meet the highest third-party testing standards; the mattress is GREENGUARD Gold Certified and constructed with eco-INSTITUT certified latex, OEKO-TEK Standard 100 certified wool, and GOTS certified organic cotton. All layers are held together by soft, hand-tufted button rosettes made from pure Joma New Zealand wool, for maximum longevity. This heavy-weight mattress is 11inches thick and highly breathable, and is free from VOCs, polyurethane foams and synthetic fire retardants. The twin size means that this mattress can follow your toddler throughout their childhood- and even be repurposed as an adult mattress for a single sleeper. Those seeking a vegan option, or who have concerns about wool allergies, can even opt for a wool-free construction. Each mattress is made-to-order in California and comes with a 25 year warranty, for a total cost of $959. The Sleep on Latex Pure Green is another excellent option in eco-friendly, high-quality foam mattresses. The twin XL size means that your toddler’s first “big kid” bed can follow them throughout their childhood. The Pure Green is natural and durable, crafted from an extra-firm 6-inch-thick core of Natural Latex Foam, surrounded by a softer 2-inch-thick latex comfort foam layer. Over this is wrapped as tufted 1-inch layer of Organic New Zealand Wool, covered by an Organic Cotton exterior. The mattress is highly breathable, is GREENGUARD Gold Certified, and is free from VOCs and synthetic fire retardants. The Sleep on Latex Pure Green Natural Latex Twin Mattress is built and assembled in Chicago and is priced at $595, an excellent value for an all-natural, twin-sized mattress. Narurepedic is a leader in the field of natural infant and toddler mattresses, and has received numerous certifications, endorsements and awards from sources like GreenHealth, The Organic Trade Association, Creative Child, Natural Child World and the National Parenting Center. Their NoCompromise Organic Cotton Crib Mattress has an impressive array of safety and quality features. The mattress is built with a firm, durable and heavy-duty innerspring core surrounded by reinforced borders with 9 gauge edge support. This is surrounded by organic cotton fabric with an easy-to-clean, food-grade polyethylene, waterproof surface, which resists dust, mites, mold and allergens. The NoCompromise baby and toddler mattress is Global Organic Textile Standard (GOTS) and GreenGuard Certified, 100% free from pesticides, chemical flame retardants, and phthalates. The crib mattress features an optional dual-sided design, allowing it to be flipped from super-firm infant support to a more plush toddler side as the child ages. The dual-sided version retails for $299 (single-sided costs $279) and comes with a Lifetime Limited warranty. My Green Mattress is a division of the longstanding mattress manufacturer, Quality Sleep Shop, with a focus on all natural bedding systems. My Green Mattress has won recognitions from the Sierra Club, the Cribsie Awards, Raising Natural Kids, and Inhabitat. Their Natural Escape mattress features a 3-zone, pocketed coil spring system with 14.5-15.5 gauge coils surrounded by three inches of Global Organic Latex Standard (GOLS) organic, all-natural Dunlop latex. Over this is layered Oeko-Tex certified natural wool sewn for fire protection and moisture-wicking, and a cover of Global Organic Textile Standard (GOTS) organic quilted cotton which repeals dust mites and mold. The mattress is GreenGuard Certified, free from synthetic fire retardants, phthalates, and VOCs. This twin sized mattress is suitable for older toddlers and can be used throughout childhood, or even repurposed as an adult mattress. Each Natural Escape Twin Mattress costs $1,299 and comes with a 10 Year Warranty and a 100 Night Sleep Trial. 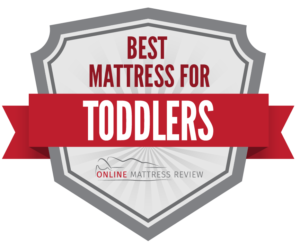 That brings our review ranking of the best mattresses for toddlers to a close. We hope it helps you make a satisfying choice!